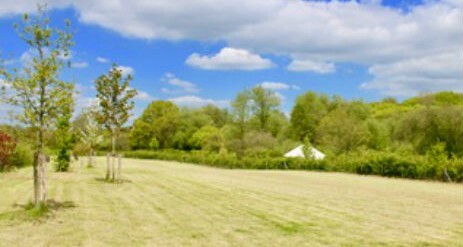 Set in the heart of the Sussex countryside our luxury glamping yurts provide the perfect place to enjoy that precious time away from it all. 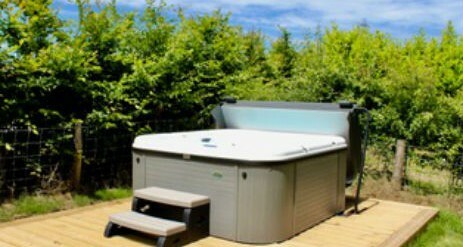 Experience a relaxed and easy stay in a rural setting with incredibly comfortable beds and sofas, with your own bathroom and fully equipped kitchen but packaged in a very special, unique way. The mix of special treated canvas, wood and wonderful French doors make these yurts different from any others you will find in the UK. 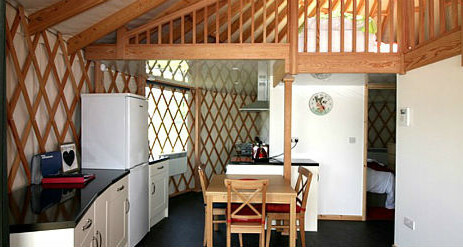 Together with the windows, special galleried floor, integral kitchen and bathroom our yurts are unique. The insulated canvas ensures the temperature is appropriate whatever the weather. So if you’ve always fancied camping but didn’t like the thought of leaving the tent every time you wanted to use a shared bathroom, or were worried that it would damp, cold or that you would have to contend with creepy crawlies, then our yurts are your ideal solution. You don’t even know how to cope with a wood burning stove and there are plenty of places to charge your phone or use your straighteners if that is what you desire. Outside your door are woods and fields full of wildlife such rabbits, foxes and deer. Birds can be heard all around and above you can see a pair of buzzards circling. This is truly a country cottage under canvas where camping means comfort doesn’t have to be compromised. 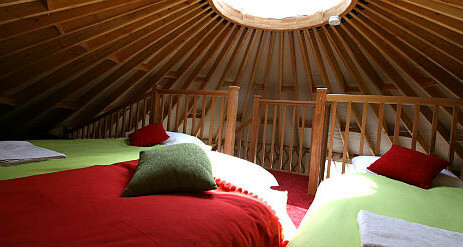 Our yurts were designed and created in Seattle in the shadow of Mount Rainier in the US. The tall design allows for full size french doors so you don’t need to stoop. The picture windows are 88″ wide and give you a great view. 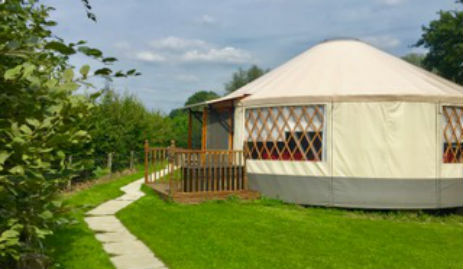 Most yurts in the UK have solid doors and do not have windows but we believe natural light and a clear view is really important to your holiday experience. Our lattice is made of the finest northwest Douglas Fir, treated with Verde Oil, making it the strongest in the industry. The yurts are designed to withinstand a minimum wind load of 95 miles per hour and can achieve snow loads of up to 280 pounds per square foot. So you can see you can be completely confident about the strength of the structure – it’s as strong as a cottage! Two layers of insulation will also ensure you’re cool in the sun and warm in the night or in seasonal weather. Above you are the beautifully crafted Douglas Fir rafters leading to the central compression ring with the clear dome to the sky. Perfect for viewing the stars! 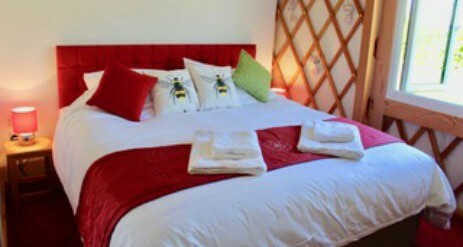 You’ll instantly feel at home in our clean, comfortable yurt. We provide towels, linens, duvets, pillows, dishes, cutlery and crockery — all the amenities you need for a relaxing retreat. Outside we have our very special dining sets which are created in partnership with Jamie Oliver. The table has a central unit which can be used as an ice bucket, a fire pit or a barbeque. This allows you to enjoy your dining experience without worrying about the children near the fire and the chef can be part of the party all the time! 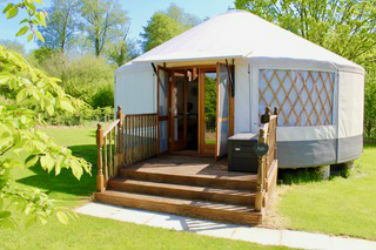 Our yurt can accommodate up to 5 overnight guests with the addition of a travel cot upon request. Being based in East Sussex means that there is no shortage of places to go, things to do, events to attend and fantastic places to eat. You’ll find one visit just won’t be enough! 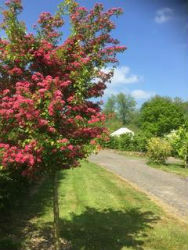 The farm is a quiet haven away from it all and the birds and wildlife can be seen and heard as you sit outside. 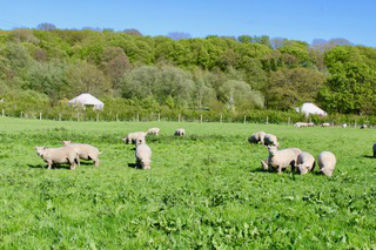 There are many good walks from the farm and surrounding country. There are also a fair few pubs which you can plan your walk around too! It can be easily found with Graywood signed from East Hoathly village. In East Hoathly Village (2 miles away) there is a village shop and Post Office, a hairdressers, a popular cafe and 2 pubs. There is a park with a children’s playground and the village cricket team can be found playing there on a Sunday afternoon. The church is Grade II Listed and the tower is 15th Century. There is a GP surgery in the village which is joined with the nearby Buxted surgery providing total coverage. There is a bus service South to Brighton or Eastbourne or North to Uckfield. Uckfield (9km away) has a train station which provides a regular service to London Bridge in just over an hour. In the other direction is Waldron Village with it’s beautiful church, pub and village store. There is also a park with a children’s playground and the village cricket team venture out on Sundays. Lewes, a historic market town but also the county town of East Sussex is only 20 minutes from us and a lovely place to visit with the River Ouse running through the town and colourful mix of cafes and antique shops. Brighton is 40 minutes away offering a cosmopolitan city on the coast with theatres, shopping in the Lanes and the famous Pavilion. The Spa town of Tunbridge Wells is 35 minutes away. With great shopping and the historic Pantiles to offer historic interest. London is only a direct train ride away on the Uckfield to London Bridge Line.